The current fiasco now completely established that there is no communication between the selectors and senior players, who decide their own schedule. HYDERABAD: The national selection committee was left deeply embarrassed after Mahendra Singh Dhoni declined to play Vijay Hazare Trophy quarter-finals for Jharkhand on Sunday despite chairman MSK Prasad's public announcement couple of days back. Dhoni, who has been horribly out of touch as a batsman during the past two years, was expected to be a part of Jharkhand's quarter-final against Maharashtra. But on Saturday, Jharkhand chief coach Rajiv Kumar told reporters in Bengaluru that Dhoni has decided against playing the quarter-final, contrary to what chief national selector had earlier announced. "Dhoni feels that it would not be fair for him to join us at this stage, given that the team has done so well and reached the quarter-final stage in his absence. He does not want to upset the team balance," Jharkhand coach Kumar said. 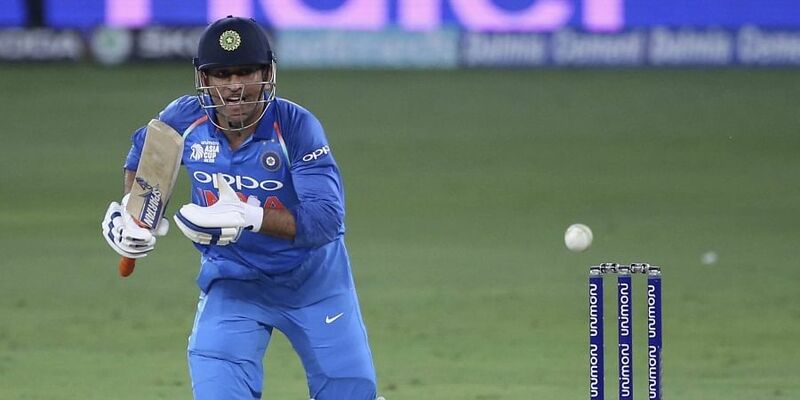 Since he has only played 22 days of international cricket this year (15 ODIs, 7 T20Is), Dhoni has looked out of sorts as a batsman, whenever he has come after a long break. Accordingly, when on last Thursday chairman of selectors Prasad was asked about whether Dhoni and Ambati Rayudu will be playing the Vijay Hazare quarters, he replied: "Dhoni is playing the knock-outs. About Rayudu, I will check and get back." Jharkhand topped the group league stage with 32 points and Shahbaz Nadeem's was their notable performer with a List A world record haul of 8 for 10. There are now questions being raised whether Prasad had even consulted Dhoni in the first place before making a public announcement. "I would love to know how MSK Prasad gets in touch with Dhoni," a senior BCCI official told PTI on Saturday. "Last heard, even VVS Laxman didn't get a chance to speak to Dhoni before announcing his retirement. Hope he is telling the truth," he laughed off. Prasad had earlier been quick to retort about the alleged lack of communication cited by senior opener Murali Vijay and junior middle-order batsman Karun Nair. Till date, his colleague Devang Gandhi has not confirmed whether he actually carried Prasad's messages to Karun and Vijay. It is learnt that he has already been spoken to by CoA chief Vinod Rai and asked some tough questions about his panel's communication skills. Selecting Shardul Thakur without verifying whether the pacer had fully recovered from a groin injury sustained during the Asia Cup has been another blot on this selection panel, possibly the most lightweight in terms of international cricketing experience.